JIM Mobile stands for the best rates, also Prepaid. 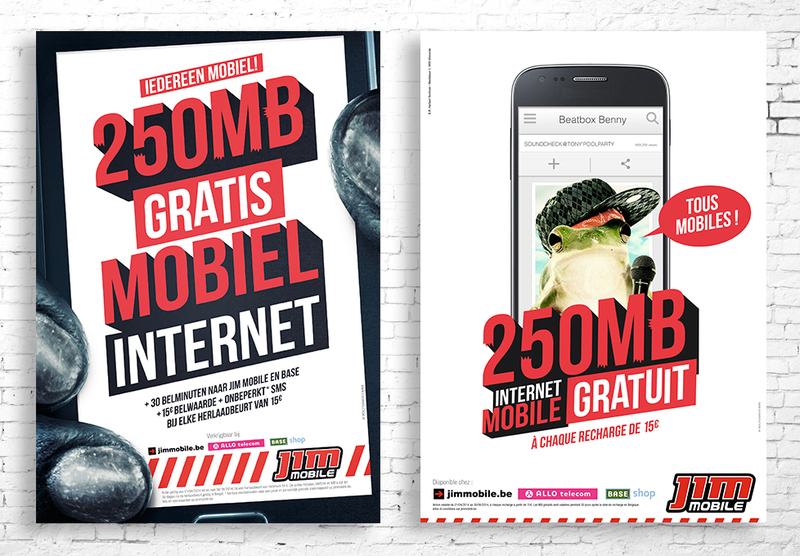 If you charge your phone for at least 15 euros, JIM Mobile rewards you with an extra 250 MB data. 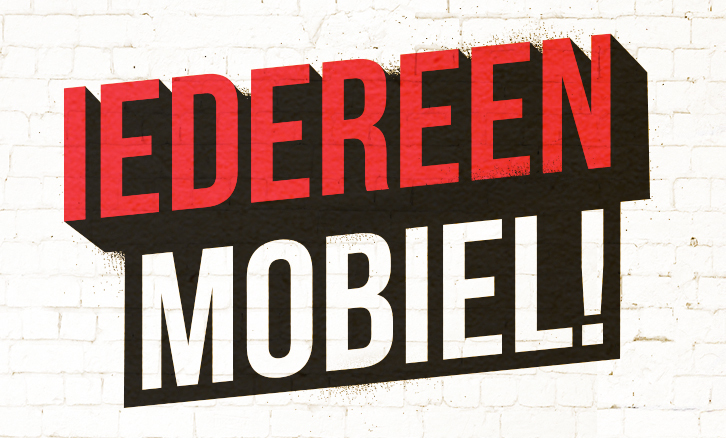 Everybody Mobile! For this campaign we relied on ‘de Max’ and ‘den Beire’ again as they became popular characters. 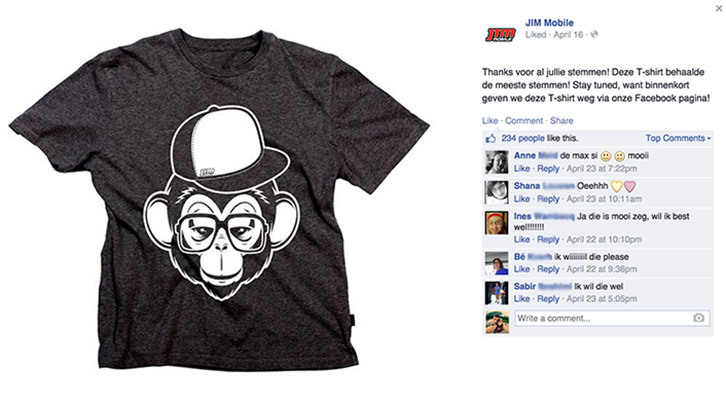 This time they took their phone to the limit going nuts on Facebook, Snapchat, Youtube,… made possible by JIM Mobile. As an additional fun feature we also decided to take de Max & den Beire to a higher level. 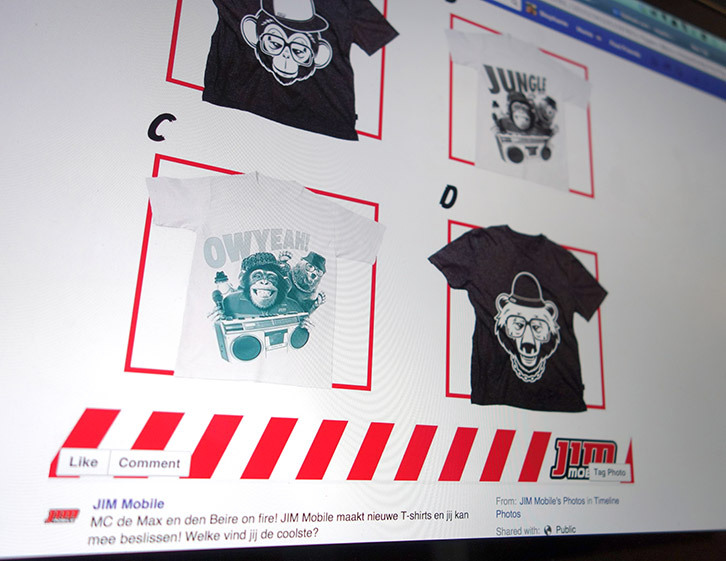 We made several T-shirt designs and let their Facebook fans decide which one we would really produce. The radio version turned out to be a catchy rap song, for which we made a small video clip in the end. Stuck in your head yet? Time for a selfie and… SHARE!